Will Todd has established himself as one of the UK’s most popular choral composers. His anthem, "The Call of Wisdom", was performed at the Queen’s Diamond Jubilee celebrations with a TV audience of 45 million people. His breakthrough work, "Mass in Blue", has been performed hundreds of times all over the world. 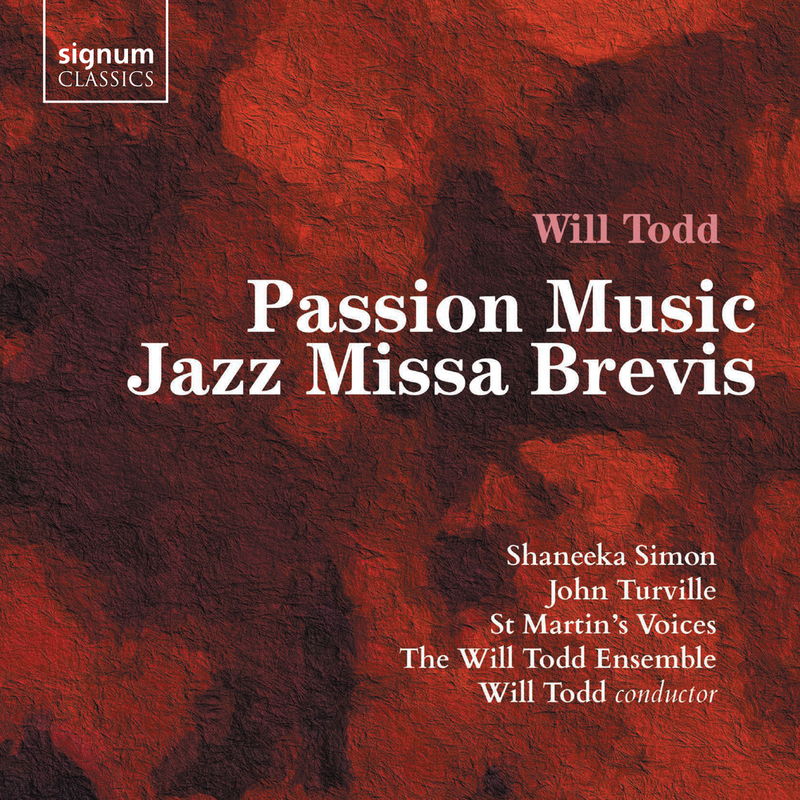 Passion Music was commissioned for the choirs of St Martin-in-the-Fields and continues the fusion of jazz and choral music so successfully blended in Mass in Blue. The structure highlights different points in the Passion story, beginning with a new setting of ‘Greater love has no man’ and including an evocative Stabat Mater, a movement focusing on the seven last words of Christ, and a setting of "Were you there when they crucified my Lord?"